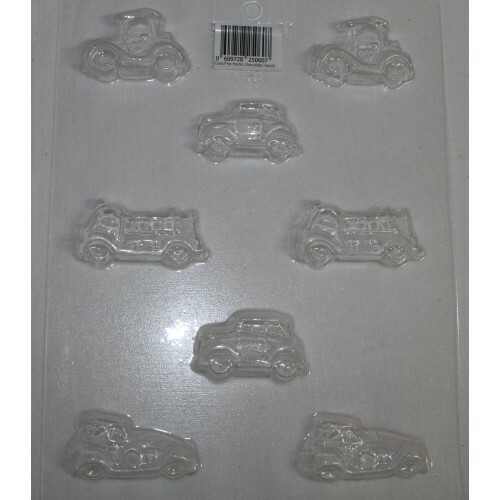 8 cavity chocolate mold featuring amazing vintage Cars and Fire Trucks. Clear plastic mould which is FDA Approved for use with food preparation. 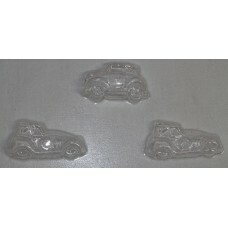 DO NOT use for Hard Candy making as the mould will not withstand extremely high temperatures. Wash moulds in warm soapy water. NOT DISHWASHER SAFE. May also be used for plaster or soap making. If used for this purpose mould will no longer be food safe. Let your imagination go and decorate this train chocolate mould to create something special for that..